As many of you are no doubt aware, something very exciting is happening this weekend. It's the second time this month, and an eager anticipation is slowly starting to spread as we prepare for... an extra lie-in! British Bank Holidays always seem full of tutting people looking up at sunny skies grumbling; "It won't last!" but if you're planning on shunning British cynicism and are keen to get out there and make the most of it, we've got five great ideas just for you! Celebrating their 19th birthday in style, Drum&BassArena are hosting a party at Heaven nightclub on Sunday 24th. With 19 different DJs from Alix Perez to A.M.C. there's even an opportunity for budding DJs to win a chance to play their own 60-minute set! Tickets start from £10. For those of you looking for a calmer, more relaxing way to spend the Bank Holiday, a lovely little pop-up party is coming to Old Street's Red Market. After the success of the wintry 'Night Tales,' here is its summer counterpart! Taking on a tropical theme with an open-deck bar, 'Summer Tales' is set to be a fantastic blend of cocktails, food and music. Larger groups can even rent out a tree top cabana! March off on the adventure trail or kick back in a hammock and soak in those jungle vibes. Opens Friday 22nd. Entry is £4 before 9pm. Greenwich's Old Royal Naval College will once again be holding Meantime's Brewfest at The Old Brewery. 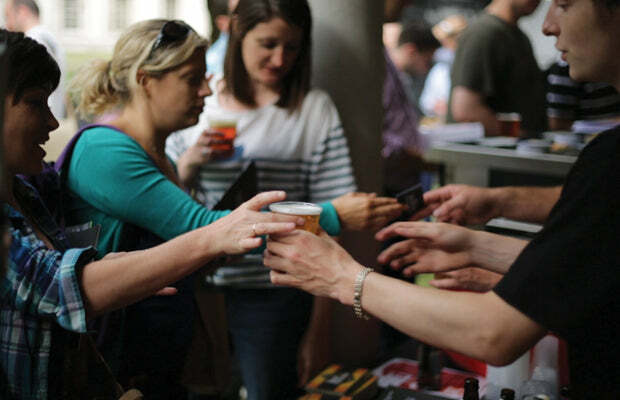 With 80 draught lines and 150 different varieties of beer, live music and experts available on hand to assist you with your selections and offer advice on complimentary foods, this event is definitely not one to miss! It runs from Saturday 23rd until Monday 25th. Standard entry is £20. Foto Ruta offer their latest opportunity to experience photography in a creative and interactive way through their iPhoneography workshop this Saturday. If you're keen to improve your Instagram snaps this is definitely one for you! Exploring the way technology has created a generation of amateur photographers, it includes a guided tour around Soho, Shoreditch or Camden and shows you how to make the most of your smartphone camera and image apps. Tickets start from £45. 5. Are You Recording This? 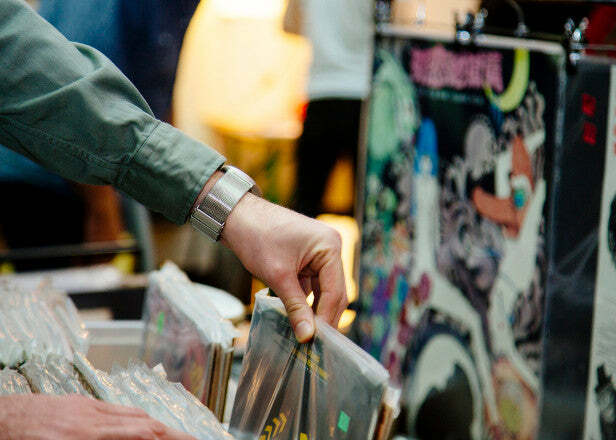 South London Record Fair is coming for the first time to The Paperworks venue in Elephant and Castle on Saturday 23rd. 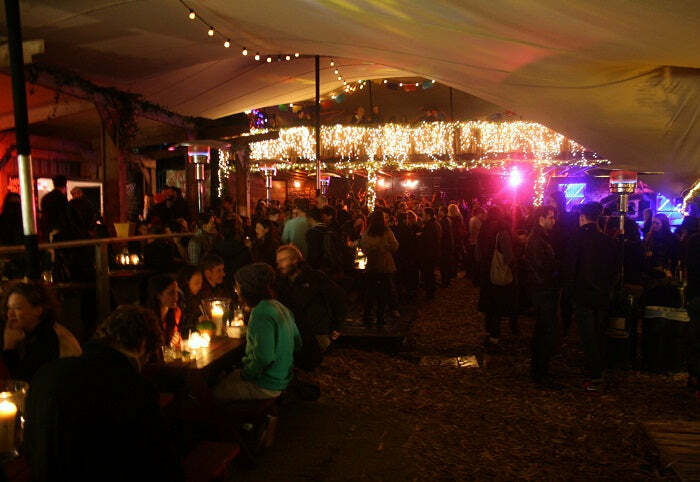 There will be a number of label showcases both from local independents as well as well-known names such as Ninja Tune. In between enjoying a host of street food and craft beers, there will be DJ sets and a record auction to really get the atmosphere buzzing! Sleeping in is, of course, atop our Bank Holiday to-do lists. Back-to-back Netflix sessions until the early hours of the morning and not even bothering to open your curtains are all truly fab ways to spend your time, but with surprisingly little rain forecast for the whole weekend it really is a fantastic opportunity to get involved in some awesome events. Come on now, many of them aren't even happening until the evening! Get out of last night's boxers, hop on the tube and swap your sofa for a swinging hammock. Roll on summer!